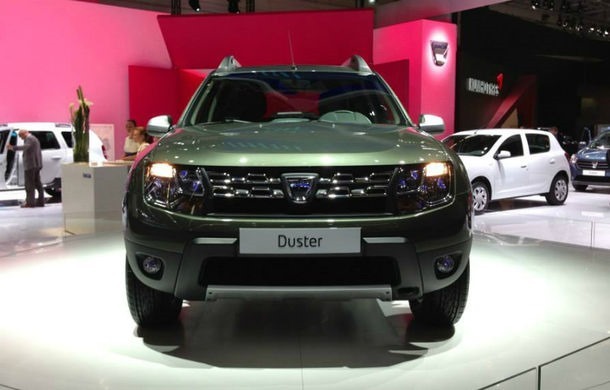 The most important premiere at the Dacia stand in the Frankfurt Motor Show was undoubtedly the new Duster facelift. 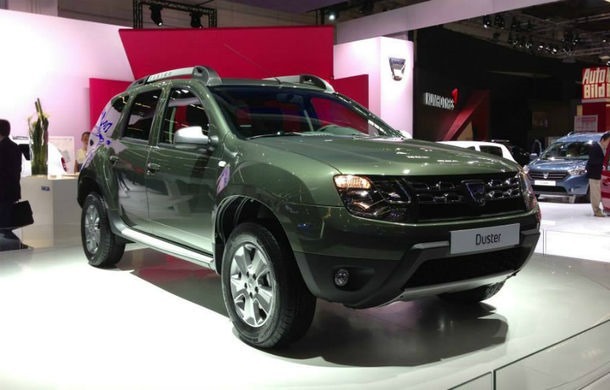 After three years of success in global markets, Duster receives some aesthetic changes on the outside, but completely changes the interior, where there has been a revolution to the generation that you can see on the streets today. 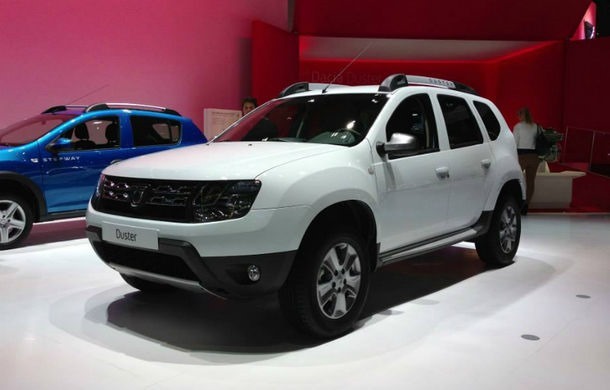 Although the exterior of the new Duster facelift may seem unchanged, there are some design changes: the taillights are easily changed, the Duster name appears on roof bars, the 4WD sticker is restyled and change its position while the new 16” aluminum wheels "dark metal" looking an the “Mud and Snow” tires give a more powerful look to the the Pitesti SUV. The biggest change on the outside are the front lights, which are more elaborate and come with daytime running lights incorporated. A big plus is the new green shade that looks good on the Romanian SUV which will probably be preferred by customers who do not want the classic brown that Duster launched initially. 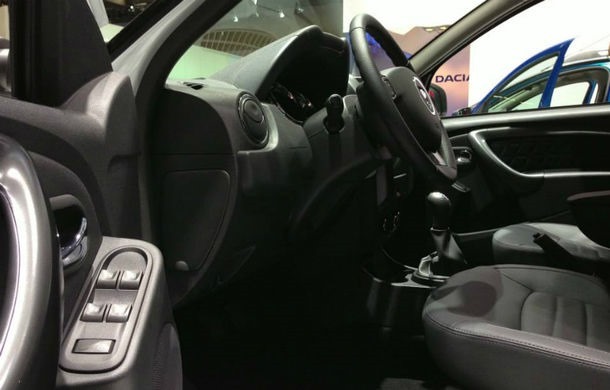 The interior of the Duster facelift is the part that presents the most novelties, although the quality of the materials has not changed, but the appearance of elements such as Media Nav represented by tactile display in the center console, and a completely changed dashboard design will definitely bring me more customers in the Dacia dealerships. Especially when it seems that Dacia has listened to their customers and finally put the power window controls on the doors. 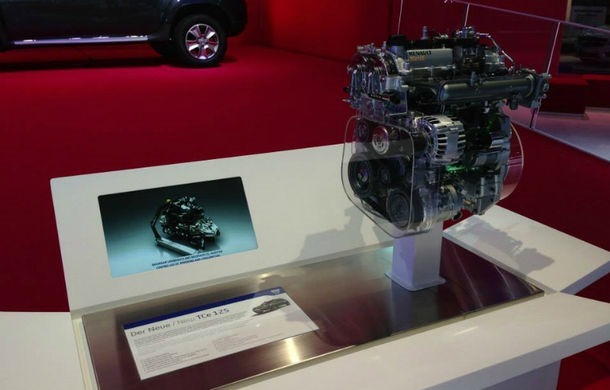 Another big plus is the new TCe engine, a 1.2 liter unit with 125 HP, proudly displayed at the Dacia stand. It is the most powerful version of the new 1.2-liter turbocharged used so far by Renault and that announces a consumption of 6.0 liters. "We capitalized all those elements that have seduced from the beginning our customers, while maintaining the original proportions of the car. The identity elements of the model, like the front grille have been upgraded. We reaffirmed the genuine 4×4 details of the vehicle without renouncing the popular elements. The new Duster reaffirms its strong character but retains the original genes, "said David Durand, the director of design in the Dacia range.